Saving money is one of the most essential, but challenging part of financial success. You know it’s important to consistently put money in your savings account, but building a regular habit is still tough. For some families, finding the money to put in savings is the hard part. No worries. We have you covered with six tips that will help you save money each month. 1. Put your savings in the right place. Your main checking account – the one that you use for your everyday spending – is the absolute worst place to try to save money. It’s too difficult to separate savings from spending money and that makes you more likely to spend your savings. A separate bank account is a much better place for saving money. Even better, an online high-yield savings account is much better. A high-yield savings account has a much higher interest rate than you’d receive at a traditional bank. That means your savings has the ability to earn dollars in interest each year versus a few cents. Saving money is much easier when it’s automatic. You set up the automatic transfer, then do something and viola! you’re saving money. Set a recurring transfer to be made from your checking account to your savings account around your payday and you’ll hardly miss the money. 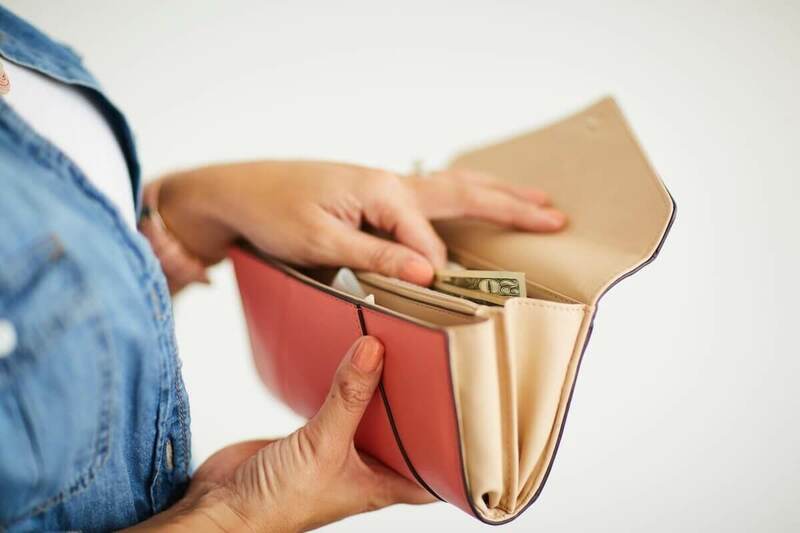 We know that saving money is a good habit to have, but sometimes that’s not enough to keep you motivated in the long run. Knowing what you’re saving for is better. 3. Create a spending plan, aka a budget. Many of us don’t pay much attention to how we spend money. When you become intentional about how you spend, you can focus on reducing your spending which will, in turn, allow you to save more money. Creating a budget not only ensures you have enough money to cover your bills and expenses for the month, it also helps you decide how much you can afford to save. Making a budget is simple. Start by writing down your monthly income. Next, write down each of your monthly bills and expenses. You may need to use your bills or bank statement for this step. Add up all your expenses, and then subtract that amount from your income. The amount leftover is how much you can afford to save each month. Write that amount into your budget. When you set up your automatic savings transfer, that’s the amount you can afford to transfer to savings. If you’re also paying off debt, a portion of your net income can go toward savings while the rest is used to pay off your debt. Every few months, look for ways to cut back on spending. Not only does this free up more money that you can save, it also ensures you’re making the most of the money you earn. 5. Prepare more meals at home. If you eat out several times a week, you can save $100+ each month by preparing more of your meals at home. Shopping sales at the grocery store, taking leftovers to work for lunch, and meal prepping for a few days at a time will help you optimize the amount you spend on food. 6. Invest in a water filter. Bottled water is an expensive way to fill your daily water requirements. Save money by purchasing a water filter – either for your faucet or a pitcher for the refrigerator. Investing in a refillable water bottle also makes it convenient to carry your water with you. 7. Cancel subscriptions you don’t use – and maybe even some you barely use. Companies know they can reel in customers by offering free trials because many people will forget to cancel. Review your monthly bank statement to get a list of the subscription services you’re paying for. You should definitely cancel those you’re not using. Consider also canceling those you only use once or twice a month or that can live without. 8. Call your service providers to ask for lower rates. You may be able to save money on the monthly services you’re planning to keep. Call each of your service providers – cable, internet, cell phone, etc. – and ask about plans or promotions that would lower your monthly rate. Sometimes threatening to take your business with another service provider will incentivize the company to give you a better rate. 9. Pay off your credit card debt. Want the shock of a lifetime? Read your last credit card statement to see how much interest you’ve paid this year. Each month that you carry a credit card balance, you’ll pay even more credit card interest. That’s money that could go into your savings account. Focus on aggressively paying off your credit card debt to save thousands of dollars on interest. Paying off the credit card with the highest interest rate first will save you the most money. Take a close look at how you’re spending money to identify more places where you can cut back your spending. Review your bank transactions periodically and see where you’re swiping your card the most. Or, you can use an expense tracking app like Mint to automatically categorize and total up your spending. You might be surprised at the results. 10. Never pay another late fee. Late fees are a waste of money. Think about it – that’s $25 you could have added to your savings account if only you’d been more diligent about making your bill payment on time. If you’re continually late on payments, you need a system of keeping up with your due dates. Setting reminders on your phone is a good way to receive an alert when it’s time to pay your bills. Automating your payments is another great way to ensure your bills are paid on time and save money on late fees. You can set up bills to be automatically paid from your checking account a few days before the due date. That way, you have peace of mind knowing your bills will be paid. While you may be tempted to just “set it and forget it,” you still should confirm that your payment was successfully processed on time. Check your savings progress every month or so to see how you’re progressing. You’ll be amazed at how your savings grows over time. Deposit more as you can afford to and you’ll reach your savings goals even faster.